The Monster steam cleaner is a brand that is manufactured by Euroflex. Euroflex is a relatively young company compared to Euro Pro, Bissell and such others. The company has grown essentially due to acquisitions. The company manufacturing base is based in Italy. As the name suggests it is essentially a European company with operations across Europe. Monster is a recognizable brand on the market for steam cleaners. 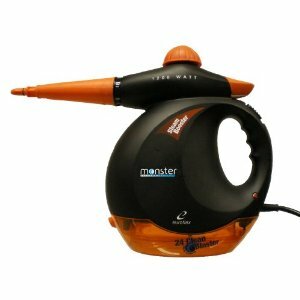 Monster steam cleaner reviews in this article will cover both upright models as well as hand-held portable models. Overall Monster steamers both upright and handheld are reasonably priced. All models reviewed here will cost you under $100.00 if purchased over the internet. Overall aggregated user reviews and ratings are very good for these Euroflex models. The hint here is that purchase a model that really suits your needs. We have generally found a significant number or negative reviews on specific models is simply because of a mismatch between user expectations and exactly what the item was designed to do. 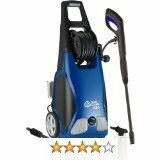 This is one of the best rated Monster steam cleaner from Euroflex. It is an upright steam mop cleaner that sells online for an average price of $80.00. This is a hard surface steam cleaner which can do your tiles, cement floors, and wooden floors. It also cleans carpets using an accompanying carpet sledge attachment. This particular attachment is designed to be a fore-runner for your vacuum cleaner by loosening dirt and grime. 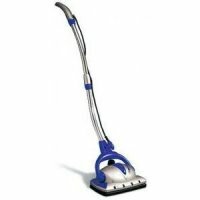 Some users advise that for a thorough clean first vacuum your floor to pick-up particles before using this steam mop. This reduces the amount of dirt particles that your steam mop pad will drag about in a room. This cleaner is chemical free and therefore will satisfy your needs if you are amongst the hundreds of home users who avoid chemicals for the sake of their health and those of their animals and pets. In terms of heating expect this Monster steam cleaner to take some 3 to five minutes to fully heat up and produce steam that lasts you some 30 minutes of continuous steam before need to refill water tank. This is one of the hottest steam cleaners on the market. We therefore entertain what is claimed by the manufacturer that the steamer can sanitize your hard surfaces. Most manufacturers claim sensitization yet the steam produced is not hot enough to achieve that. Due to this problem a particular Hoover steam cleaner model actually has a dual tank system the other one designed to contain disinfectant solution. This steamer has a very convenient way of letting steam out. Instead of keeping pressing a trigger as found in other steamers which many users have complained about, with this steamer you simply swing the upright handle towards you in a pushing forward motion and the steam automatically comes out. You also have the ability to press a button to release a high pressure jet of water to moisten otherwise tough stains. By the way with this Monster Ez1 steam cleaner you can adjust steam output from low to high. We highly recommend this Monster steam cleaner. Your best buy is likely to be off Amazondue to the good reputation for customer service at Amazon in case you change you mind and want to return it. How do you check if your steamer is doing a good job? Do a paper towel test on the hard surface after running your steamer to see if any dirt is picked up by the towel. This is a Monster steam cleaner handheld model. It is designed to be a portable home appliance for cleaning your counter tops, oven, cabinets, bathroom, toilet and other such common surfaces. The steamer costs just under $50.00 is you are buying it from Amazon . According to the manufacturer this 1200 watts steamer is supposed to be a a sanitizer as well killing harmful germs and bacteria. 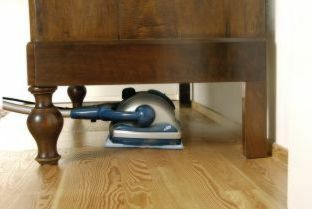 The steamer cleans without using any chemicals. Unlike other steamers that use tap water, this one employs what the manufacturer calls all natural oxygen solution trade named Clean Blast. It is this solution that also helps in destroying bacteria and removes odors. It is this same solution that helps this handheld steam to beat others in as far as the elimination spitting and sputtering of water on to surfaces one of the most frustrating things encountered by home cleaners. The steamer comes with a variety of attachments that you can attach such as nozzles, squeegee and brushes. By way of hint if you discover that the steam is leaking pay closer attention to how you are attaching the tank on refill. To avoid badly burning yourself with steam, first steam and then wipe. Most people would get carried away by the normal way of spray and whilst wiping. In this case it becomes dangerous. Another dangerous thing to look out for is touching the top screw cap when steamer is hot. This can happen when refilling. The screw cap is made of steel. On whether you should buy it, this is appliance has received overall below average ratings. A few users have found it useful in the context of their expectations. 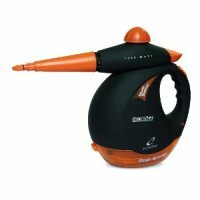 It is a risky investment and there could be other alternatives for handheld steam cleaners. 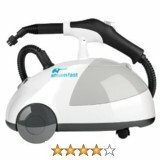 You may consider reading further reviews for this Monster steam cleaner. - effective in removing typically hard-to-remove stains off surfaces. - dangerous to detach and attach attachments when steamer has been in use. Unlike the above 1200 Monster steam cleaner, this is rated much better and is essentially an OK steamer. It has had a mixed bag is an far as meeting expectations is concerned and utter disappointments. Users still complain about burning themselves with hot steam even with this model. This Monster SC20 comes with a total of 16 accessory attachments designed to be used for specific cleaning adventures. This steam cleaner in a way mimics a pressure washer by releasing reasonably high pressure steam which is useful in removing hardened dirt on surfaces. One thing to realize about this steamer is that it is for small jobs around the home. It would appear most people have been disappointed due to too high an expectation for an appliance never designed to do such. We recommend the purchase of this Monster steam cleaner handheld model after a careful consideration of the extent to which your purposes are met. For your outdoor cleaning such as driveway, car, ATV, grill, patio and so on you may consider looking at a variety of home pressure washers such as Campbell Hausfeld, NorthStar Pressure washers, Simpson pressure washer amongst others. - there is need to wait some good 5-6 minutes for it to cool down before opening for refill to avoid hurting yourself. These replacement pads are for the Monster EZ1 steam cleaner. They are micro fiber pads designed to be bio-degradable. By design this pad is meant to be more absorbent that an average pad. These pads are sold for about $25.00 and are for hard surface cleaning. They are not designed for carpet cleaning. These are generic pads which are not manufactured by Euroflex the manufacturer of the Monster brand. They are consequently cheaper than genuine Monster EZ1 steam cleaner pads. 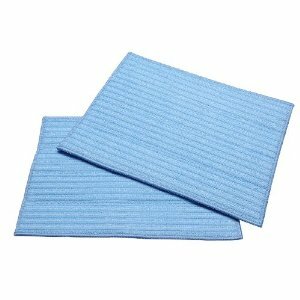 These Monster steam cleaner pads stick to the head using velcro which is quick and easy to attach. See reviews of these pads.